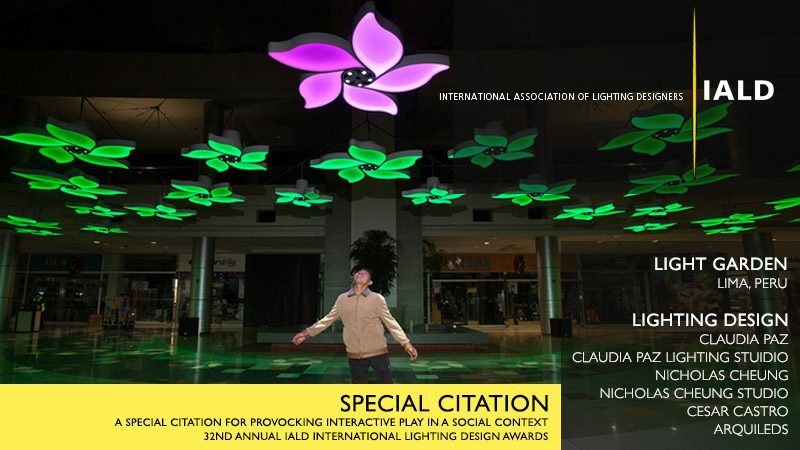 Nicholas Cheung Studio is honoured to have Light Garden given an award in a unique category of Special Citation at the 32nd Annual IALD International Lighting Design Awards 2015. The judges cited that the project was awarded a Special Citation “for provoking interactive play in a social context”. Special Citations are given about a specific feature of the project that is beyond “great lighting.” IALD Judges agree unanimously that the project is worthy of a special citation and must also unanimously agree on the wording for the award. Begun in 1983, the IALD International Lighting Design Awards honors lighting design that reaches new heights, moves beyond the ordinary, and represents excellence in aesthetic and technical design achievement.